Budapest, Hungary, June 3, 2016 – Colorfront (www.colorfront.com), the Academy and Emmy Award-winning developer of high-performance, on-set dailies and transcoding systems for motion pictures, high-end episodic TV and commercials, will showcase the groundbreaking capabilities of its new Express Dailies 2016 system for Ultra High Definition (UHD) and High Dynamic Range (HDR) image-processing in on-set dailies workflows, during Cine Gear Expo 2016, c/o ALT Systems and Sony. With the debut of Express Dailies 2016 at Cine Gear Expo, Colorfront is once again setting the technology agenda with an abundance of innovations and blazing a new trail by enabling on-set dailies processing of the very latest UHD HDR camera, color, editorial and deliverable formats for digital cinema, high-end episodic TV and OTT internet entertainment channels, such as Amazon and Netflix. Express Dailies 2016 also supports Panavision’s newly announced large-format Millennium DXL 8K camera. These latest advances enable producers, cinematographers and DITs for the first time to review original camera material in HDR on-set, rather than having to wait until downstream post-production, and introduce the potential for significant time and cost-cutting efficiencies. Our Technology team have been long time users and supporters of Colorfront, commented Jay Bodnar, EVP/CTO Picture Shop. The Colorfront folks have proven themselves time and time again by providing top notch products and support. 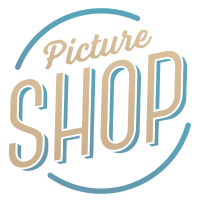 My team and I recently had an opportunity to be a part of a new company (Picture Shop). We chose Colorfront Express Dailies and Transkoder to play a core role in our workflows. Colorfront helps us provide our clients the best product and service. Colorfront Express Dailies is built on the same cutting-edge image-science technology, color grading and management tools that feature in Colorfront’s renowned On-Set Dailies. Express Dailies gained instant traction amongst customers worldwide when it launched in 2012, and is now widely used on major Hollywood features and primetime episodic TV shows including The Man in the High Castle (Amazon), Mr. Robot (USA Network), Narcos (Netflix) and Silicon Valley (HBO). Express Dailies 2016 harnesses Colorfront Engine, the state-of-the-art, ACES-compliant, WCG HDR-managed color pipeline, to enable creative on-set look creation and ensure the color integrity and dynamic range of UHD HDR dailies/deliverables, with associated metadata, through the entire camera-to-post chain, with support for concurrent SDR/HDR deliverables. The new 64-bit software runs on the Mac Pro and is optimized for HDR UHD/4K@60p display and demonstrations. During Cine Gear Expo will be shown using AJA Io 4K Thunderbolt2 video output to Sony’s BVM-X300 and LG's latest 65" 65G6P OLED monitors. Express Dailies already delivers real-time support for all major RAW formats from the latest digital cinematography and DSLR cameras from ARRI, Sony, Canon, RED, Panasonic, Go Pro, Blackmagic and Phantom. These are further extended in Express Dailies 2016 to encompass Panavison’s brand new DXL 8K large-format camera, Sony’s brand new XOCN ST and LT compressed RAW codecs for the F5 and F55, ARRI Alexa 65 RAW and Alexa Mini RAW MXF, Panasonic VariCam VRAW, Canon Cinema Gamut and Log2, RED Weapon 8K and Blackmagic lossless JPEG CinemaDNG. Analysis tools include HDR waveform monitoring, REC 709 and Rec2020-P3 Wide Color Gamut vectorscope. Colorfront has also supplemented the range of on-set look creation tools in Express Dailies 2016 with the introduction of Grain and Vignette SoftEffect filters. Express Dailies 2016 is optimized for fast encoding to the widest range of dailies, editorial and web deliverables. These include: High Efficiency Video Codec (HEVC), Avid DNxHR MXF, Apple ProRes wrapped in Quicktime and also MXF, MPEG4 H.264, PIX, DAX, uncompressed DPX, TIFF and OpenEXR formats up to 4K resolution. Colorfront has also boosted the audio handling capabilities of Express Dailies 2016 with full support for embedded audio, new audio mix-down and level metering tools, plus enhanced embedded audio tools for WAV broadcast wave audio, stereo and multi-channel. Using the enhanced CopyCentral facility users can ingest and securely upload original camera footage, with associated metadata, at even greater speeds to a choice of multiple concurrent destinations for archive, including cloud servers and LTFS LTO-tapes, and perform and automate a range of key tasks, with extremely fast xxHash checksum verification and fully featured Media Hash List (MHL) support. Colorfront will also showcase its latest work in optimizing Express Dailies 2016 to work with Colorfront Cloud Services, which can enhance productivity through the rapid upload of camera originals, proxies and metadata and the efficient sharing, management and delivery of assets between the various creative stakeholders during production, such as production, editorial and VFX.